Last update (Sep 06, 2009): Sony Cyber-shot DSC-HX1 Review Photos at PhotographyBLOG. This page is a collection of photo samples taken with the Sony Cybershot DSC-HX1 digital bridge camera, plus related image galleries, user pictures and other examples that I’ve come across in forums, online communities, blogs and related websites. This should help in determining if the image quality of the HX1 meets your expectations. Bear in mind that the majority of these photos are re-sized, and may have gone through post-processing, retouching or other edits. I just thought that it would be interesting to see, at a glance, what DSC-HX1 owners and users are shooting with their camera. PhotographyBLOG has posted up a pretty comprehensive gallery of review photos shot with the HX1, plus an 18-second, 26.7 MB, 1080p / 1920x1080 pixels at 30 frames per second movie file for download. 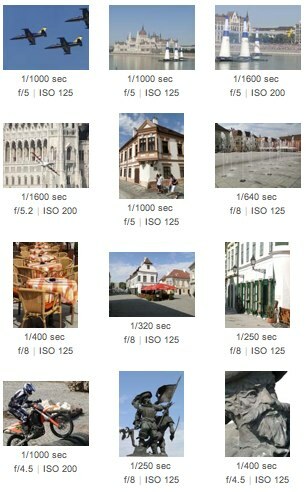 There are nine images of various subjects — outdoor scenic shots, portraits taken outdoors, and indoors (with and without flash) and a macro / close-up shot of a wristwatch. The photos have been resized, but are still useful for judging color output and tonality from the camera. Looks pretty sharp to me. Depth of field is also greater (very useful in this situation) than what you’d typically get shooting with a Digital SLR plus macro lens combination, resulting in a large portion of the insect appearing sharp. Some HX1 test shots of flowers, three without post-processing, and one with a vignetting effect. See them here and here. Bokeh on the distracting background seems rather pleasing.